LEGO IDEAS - Build an Add-on! The winners have been chosen! Thank you for participating in this contest. We've been blown away by all the creative Add-ons! Do you ever just feel the need to add something to an existing LEGO set to make it even cooler? Now we invite you to use your creative skills by building an add-on to the A-model of any 2018 LEGO Creator 3in1 product. Your add-on can be small or big, as long as it gives the product the ultimate coolness! Here is the chance to activate your LEGO bin and think outside of the box. 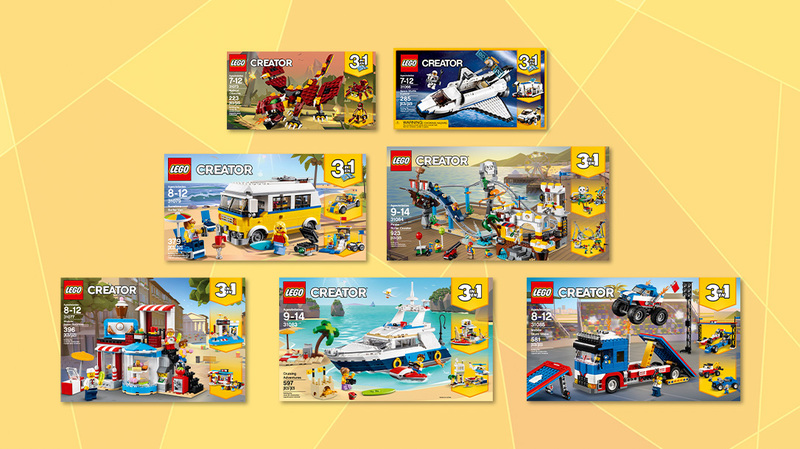 One Grand Prize winner will get the full 2018 LEGO Creator 3in1 assortment, selected 2017 LEGO Creator 3in1 sets, a LEGO Creator 3in1 t-shirt as well as a LEGO Creator 3in1 frame created by a LEGO designer and a winner’s certificate. So, start building that Add-on to get your hands on these awesome prizes! ENTRY DEADLINE: Submit your entry no later than December 4th, 2018 at 6:00 a.m. EST. If you’re not sure what time zone you’re in, here’s a  time zone converter. Submission Phase - Build and submit your entry before December 4th, 2018 at 6:00 a.m. EST. We recommend submitting your entry 2-3 days before the deadline in the event we have to return it to you for changes. Judging Phase – Our judges review the entries and choose the winners by December 11th, 2018. Winners Announcement  – We will share the Grand Prize winner, the two Runners-Ups and the Bonus winner here on LEGO Ideas no later than December 18th, 2018! Submissions may be in either physical bricks or by using a digital building tool such as LEGO Digital Designer. 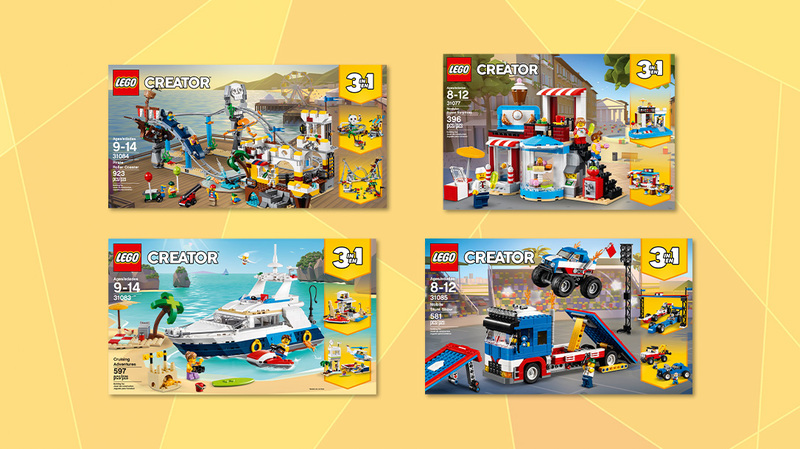 However, since LEGO Creator 3in1 is all about building and rebuilding, the LEGO Creator team encourages you to build your entry with physical bricks. You’re welcome to use image editing tools, such as Photoshop, to enhance your photos/presentation. 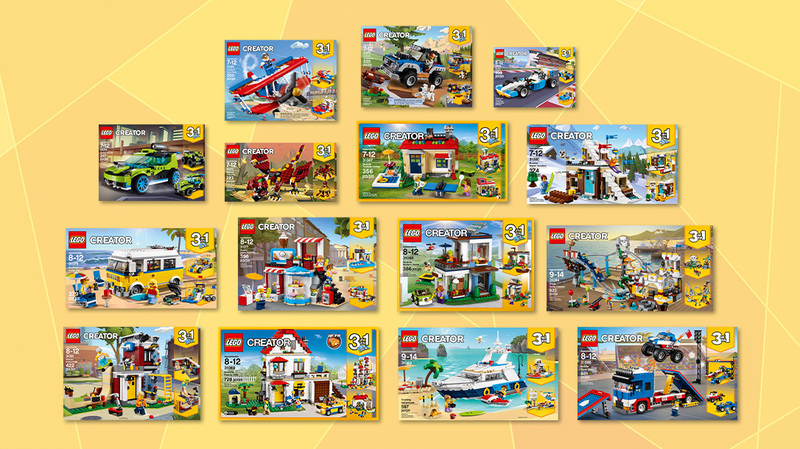 Your add-on may contain LEGO System elements or LEGO Technic elements (no LEGO DUPLO elements), however the LEGO Creator team encourages you to only use LEGO System elements to match the LEGO Creator 3in1 theme. The LEGO elements must be genuine (not cut, glued, drawn on or otherwise modified). You may submit digital entries using  LEGO Digital Designer, which is available for download via  this link  free of charge. Any entries made in LEGO Digital Designer should not show the baseplate from build mode. You may also create digital entries using third-party LEGO CAD software. One Bonus prize winner will be randomly selected from a Bonus Pool of high-quality contest submissions. You may submit multiple entries to the contest, but only one entry per person will be considered when winners are selected. This means you cannot win as a Grand Prize winner and as a Runner-Up or Bonus winner with several different entries. Winners will be contacted on the email address associated with their LEGO Ideas account after December 11th, 2018. Winners will be announced on LEGO Ideas when all winners have returned the signed Winner’s Certification Documents. A winner who does not return their Winner’s Certification Document within one week (5 days) of receiving it will be disqualified, and a new winner will be selected.